How about spending 9 days exploring the very different sides of Northern Italy. Start in business-first Milan, the country's fashion and financial capital. 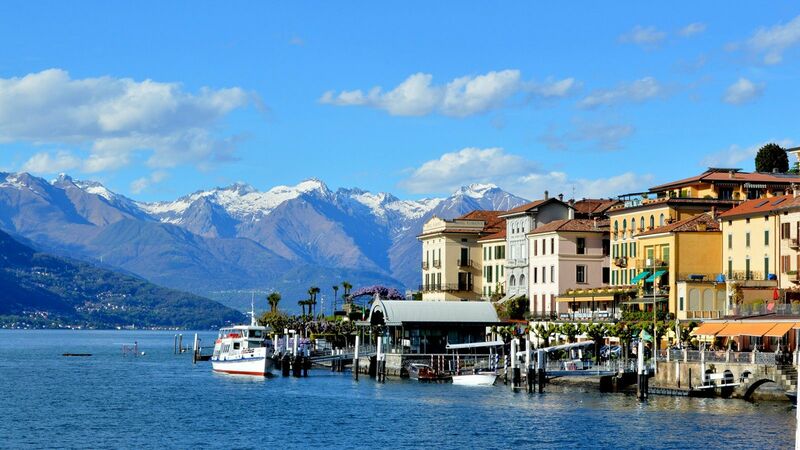 From there you'll head to Lake Como to enjoy some time on the water and surrounded by the beauty of the lake region. The last stop is La Serenissima, Venice. The Queen of the Adriatic and a city like no other, it has to be seen to be believed. The services we provide as part of our comprehensive packages include accommodations, train tickets, transfers (airport, port & bus station) and city tours. In addition to the tours included we can arrange a number of excursions based on your own interests. There is also an option to travel between cities by private car or van transfers at an extra cost. Our Destination Manager in the region provides assistance before and during your travels. They will be available to you leading up to the trip to answer any questions and arrange local services. You will be provided with information on the best these destinations have to offer including things to see and do, restaurants, entertainment and other insider tips. Upon arrival we will provide you with a local cell phone that you can use to contact our Destination Manager throughout your trip. In all of our destinations we offer a variety of accommodation options including boutique style hotels, charming B&Bs and spacious apartments ranging from a three to five star level. From our first hand experience we can ensure they are all clean, comfortable and centrally located. We generally discourage chain hotels but provide accommodations with unique features or an authentic feel. Your driver will take you to your accommodation in the center of Milan. Milan isn't just the capital of fashion and a center of economic and banking affairs, it's also a historic city with so much to explore. There are a few things you just have to see. The landmark of the city is the impressive Duomo Cathedral, one of the biggest cathedrals in the world. It's best enjoyed from the upper terrace. The fascinating Galleria Vittorio Emanuele II, a 19th century glass vaulted shopping arcade. It's one of the first examples of Art Nouveau architecture in the world. At La Scala Theatre Opera House, built in 1776, you can still enjoy a classic Italian opera (advanced booking recommended). The majestic Sforza Castle is one of the symbols of the city. see one of the most famous masterpieces in the world, Leonardo's The Last Supper (advanced booking recommended). Don't forget to relax in one of Milan's many cafes for an aperitif with a drink and a light bites. We recommend joining one of our small group or private tours to get a local's introduction to the city. Today you'll take a short ride to Italy's most famous lake - Lake Como. Our driver will pick you up from your accommodation in Milan and drive you to Como. The drive shouldn't take more than 1 hour. Milan is a city that seethes with energy. Italy's business and fashion hub, Milan is also the home of the nation's stock exchange. But don't let the city's professional side fool you: this is a place that prides itself on history and culture, and the locals always seems to be having a good time. 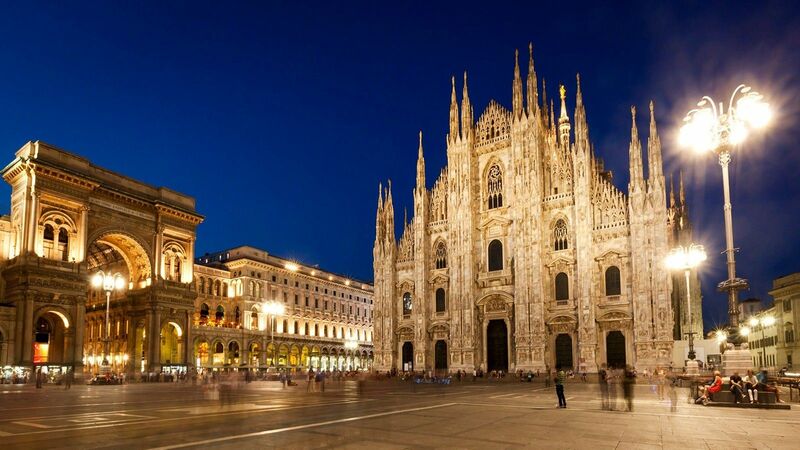 Milan's signature building is the Duomo, an imposing Gothic cathedral that sits in the heart of this former Roman capital. The combination of its size and beauty make it a must-see sight. You can also look forward to elegant evenings at the legendary La Scala opera, charming cafes and restaurants, great shopping opportunities and breathtaking art and architecture. Besides being the home of Da Vinci's Last Supper, Milan is also rich in art galleries, from the old masters to contemporary art. This being Italy, you'll find delicious cuisine here too, and the "aperitivo" is one of the most interesting traditions of Milan gastronomy. At many of the city's cafes and bars in the early evening you can pay a slightly higher price for a drink and get your pick from a free buffet. It's one of the best ways to experience the different flavors of Milanese cooking. Milan is also a perfect stop for flight connections to other areas of Italy and elsewhere. The compact city center means that one or two days here will be enough to satisfy your curiosity. The driver will take you to your accommodation by Lake Como. Lake Como has been famous as a pleasant and stimulating holiday retreat since the age of the Roman Empire. The lake gained international acclaim between the 18th and the 19th centuries, first with the triumph of the so-called “villa civilization,” and then with the development of the tourist elite and international celebrities. The area offers the unique combination of a beautiful natural setting with historic and cultural attractions alongside shopping and spa opportunities, all within close distance from Milan and Lugano in Switzerland. The local flight club is famous for panoramic flights even with hydroplanes, which are very traditional in these scenic lakes. Lake Como actually hosts the only remaining professional school for hydroplane pilots in Europe. Due to the narrow roads, almost impossible parking and plenty of photo opportunities, we recommend you explore the area with a private guide aboard a conformable minibus, and also from the water. You can choose between the option of a boat with guide and skipper, or the more economical (and also more entertaining) option of renting a smaller boat with a guide and the chance to pilot it yourself. For those interested in the many tasty traditional delicacies and robust wines from this region, we recommend a tour with an expert local guide combining tastings with a visit to the less-frequented (but truly magnificent) northern shores of Lake Como. Today it's time to get to the most unique city of Italy: Venice. We'll arrange for our driver to pick you up from your accommodation in Como and take you to the Milan Train Station, where you'll catch a direct train to Venice. We've included Standard Class Train Tickets but for an extra fee we can upgrade you to Business/First Class. For a little more you could have a driver take you all the way to Venice, stopping on the way in Sirmione on Lake Garda or in Verona. You'll arrive in Venice at the city's main train station, Santa Lucia. Since Venice is a very unique city, transport options vary greatly based on the location of your hotel. Because the transport could vary, we won't include it in this package. You may find a vaporetto (water bus) to be the best option; there are stops right outside the train station and lines from here run to most points around the city. Venice is a magical city, and today you’ll discover the best it has to offer, with a private three-hour tour with your own personal guide. You’ll get a feel for the layout of the city and appreciate some of its legendary landmarks. After being picked up at your accommodation, you’ll head toward the elegant Piazza San Marco, which is enclosed by buildings from the ancient republic. The shining gold of the Byzantine St. Mark church is sure to impress you. Later you’ll wind your way through the Castello district, including the large campo Santa Maria Formosa. Before reaching the famous Rialto bridge you’ll stop by the square of San Giovanni e Paolo and the Marco Polo House. From the top of the bridge you’ll be able to take in the wonders of the Grand Canal. At this point you’ll be right in the market, which is a lovely place to enjoy a glass of wine along with local recipes. Here you’ll conclude your tour in true Italian style.
. Burano is also an archipelago in northern Venice, consisting of four islands linked by many bridges. What you’ll notice first are the brightly painted houses, which make the island glow with an energy all its own. Largely inhabited by artists, it’s a great place to poke around and explore, including the Church of San Martino, which houses a classic Tiepolo painting from the 18th century. We can arrange tickets for a group boat trip but you might prefer exploring on your own. Two of the more unique attractions in Venice are the Doge’s Palace and the Peggy Guggenheim Collection. We recommend seeing both while you’re in the city. Doge's Palace is a stunning palace built in Venetian Gothic style and one of the most conspicuous landmarks in Venice. The Doge of Venice, the highest ruling authority of the former Republic of Venice, once used the palace as his house. Situated on the Grand Canal, the palace opened as a museum in 1923. The Peggy Guggenheim Collection is a rich art museum that has more than enough to keep you busy for an afternoon. The personal collection of the legendary philanthropist, the museum gives you a chance to see excellent works of 20th century international avant-garde art, all in a stunning palace right along the Grand Canal. It's time to bid arrivederci to Venice but you'll get a good last look at the city as your private water taxi captain takes you to the airport for your departing flight. Venice is a legendary city with a charm and atmosphere all its own. The city was constructed on more than 100 islands connected by a series of canals, most of which are lined with gorgeous palaces, beautiful churches, and all sorts of impressive architecture. While the city isn’t huge, it is packed with pedestrian-only streets and quaint, winding alleys that will keep you exploring for days. The city is very popular with tourists year-round, so you certainly won’t be the only travelers walking through the streets with camera in hand. This being Italy, the cuisine in Venice is delicious, and we can especially recommend the Cicchetti of Venice tour. Cicchetti are Venetian tapas, and this tour will introduce you to some of the city’s most iconic eateries and its most delicious recipes. If it’s your first time in Venice, we can organize a tour to show you all the most important sites. And since no trip to the city of canals is complete without a boat ride, we offer a number of ways for you to get a new point of view of the city and its magnificent architecture. It’s easy to while away your time in Venice, discovering new secrets around every corner. Below you will find all the services provided as part of your complete vacation package. Should you wish to add any optional tours and excursions listed on the Itinerary tab, please let us know. Pre-trip assistance of the JayWay Destination Manager. On-trip assistance from local JayWay Representatives. A pre-paid local cell phone for all destinations. Excursion booking advice and assistance. Access to your personalized Guest Page, containing detailed destination information and tips on the best that these cities can offer. -  Flights to and from Europe. -  Tips for Tour Guides, Drivers and Local Reps. Meals (other than breakfast if included in room rate and meals listed as included in food tours and excursions, unless explicitly stated otherwise). Parking fees for your Rental Car (if you are booking one with us) unless otherwise indicated. Some hotels provide free parking facilities. Get an Instant Price Estimate! Choose the month of travel, how many travelers and what star level accommodation you'd like to stay in then get an instant price estimate.